Để có kế hoạch lên ngân sách cho doanh nghiệp, trường học, khối giáo dục, chính phủ, nhà nước, phi chính phủ.. trang bị bản quyền bảo mật Mcafee. Khách hàng có thể tìm hiểu và tham khảo bảng giá qua đối tác PACISOFT Vietnam. 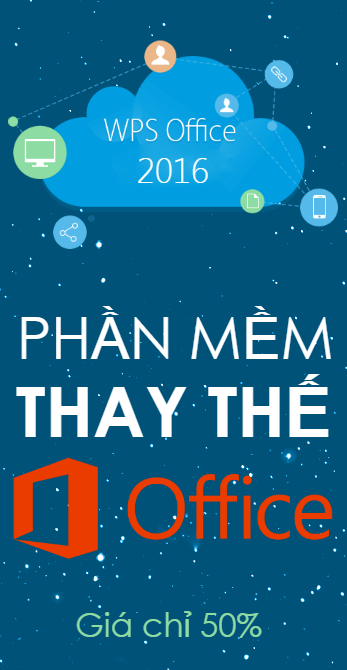 Hiện PACISOFT đang phục vụ cho hàng ngàn doanh nghiệp đa ngành nghề trong nhiều lĩnh vực. Mcafee cũng thiết kế đầy đủ các gói phù hợp từng quy mô, đặc thù hạ tầng, nhu cầu bao gồm Endpoint Security, Server Security, Security & Risk Management, Network Security, SIEM, Content Security, Data Protection,Premium Support and Services. LICENSE: Per Node. DELIVERABLE: Download Only. PRODUCT CONTENT: McAfee Total Protection for Data Loss Prevention Appliance Software is available as an add on to McAfee DLP Appliances or can be used in a virtual appliance environment. Includes McAfee DLP Monitor, DLP Discover, DLP Prevent, DLP Manager and DLP Endpoint. LICENSE: Per Node or by VDI Server/Clients. DELIVERABLE: Download. PRODUCT CONTENT: Provides the core features of endpoint encryption along with DLP Endpoint and Device Control. CDA includes DLP Endpoint, Device Control, Drive Encryption, File & Removable Media Protection and Management of Native Encryption. Management: ePolicy Orchestrator. File & Removable Media Protection 5.0 release includes encrypted file capability for a number of Cloud Storage Services. NOTE: Customers who purchased CDA licenses before 10th APR 2017 that are renewing Support should note that the former ePO Deep Command content (EOD) in this Suite will go End-of-Support 10th APR 2018. CDA Suite Support Renewal will continue to entitle EOD product access and Support rights until this date. LICENSE: Per Node or by VDI Server/Clients. DELIVERABLE: Download. PRODUCT CONTENT: Provides the core features of endpoint encryption. CDB includes Drive Encryption, File & Removable Media Protection and Management of Native Encryption. Management: ePolicy Orchestrator. File & Removable Media Protection 5.0 release includes encrypted file capability for a number of Cloud Storage Services. NOTE: Customers who purchased CDB licenses before 10th APR 2017 that are renewing Support should note that the former ePO Deep Command content (EOD) in this Suite will go End-of-Support 10th APR 2018. CDB Suite Support Renewal will continue to entitle EOD product access and Support rights until this date. LICENSE: Per Node. DELIVERABLE: Download. PRODUCT CONTENT: Agent solution for device and data control and blocking. Managed by: ePolicy Orchestrator, McAfee’s foundational unified security management solution providing endpoint, network and compliance management with increased security and reduced costs. LICENSE: Per Node. DELIVERABLE: Download. PRODUCT CONTENT: McAfee Data Loss Prevention Endpoint is a comprehensive data loss prevention solution, comprised of agent software installed on end-stations across the enterprise, and a logging and analysis server, through which centrally-managed policies are deployed, real-time events are monitored and reports are generated. With McAfee DLP solution, centrally managed security policies are applied on end-stations and are used to monitor and restrict the usage and transfer of sensitive data. The result is a cost-effective and flexible solution that offers innovative methods for preventing classified information from leaking out of the organization and effectively addresses data loss problems. Managed by: ePolicy Orchestrator, McAfee’s foundational unified security management solution providing endpoint, network and compliance management with increased security and reduced costs. All new customer initial opportunities require McAfee Professional Services. Reference the McAfee Quoting Handbook, under the Data Protection section for detailed quote and order guidance. LICENSE: Per Unit. DELIVERABLE: McAfee DLP Appliance 6600. McAfee DLP appliance software sold separately. PRODUCT CONTENT: Hardware appliance platform for McAfee DLP Monitor and Prevent appliance software. Requires McAfee DLP Monitor v10 or Prevent v10 or Total Protection for Data Loss Prevention appliance software licenses. Support required to be purchased with all appliances. LICENSE: Per Node. DELIVERABLE: Installed on the McAfee DLP Appliance. Maintenance available via Download Only. PRODUCT CONTENT: McAfee DLP Monitor Appliance software is available as an add on to McAfee DLP Appliances. Scans and evaluates all content traveling over the network according to defined security rules identifying and reporting on incidents that could lead to data loss. LICENSE: Per Node. DELIVERABLE: Installed on the McAfee DLP Appliance. Maintenance available via Download Only. PRODUCT CONTENT: McAfee DLP Prevent Appliance software is available as an add on to McAfee DLP Appliances or can be used in a virtual appliance environment. Scans and evaluates all content traveling over the network actively blocking network communications that could lead to data loss based upon defined security policies. DLP Prevent for Mobile now specifically scans email content travelling to/from Mobile devices. LICENSE: Per Node. DELIVERABLE: Installed on the McAfee Network DLP Appliance. Maintenance available via Download Only. PRODUCT CONTENT: McAfee DLP Discover Appliance software is available as an add on to McAfee DLP Appliances or can be used in a virtual appliance environment. Scans all data sources across your data center and network helping you quickly classify and categorize your data according to security rules.